Germany, c. 1900. On round bases. 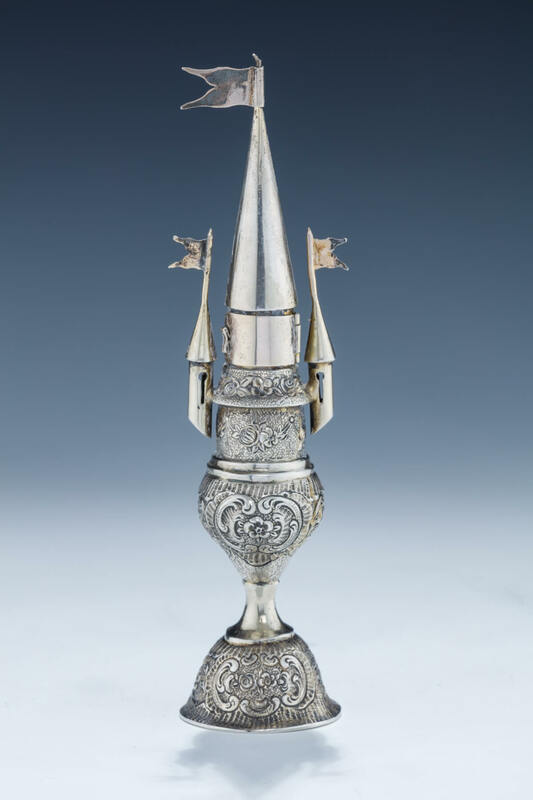 The spice container is tower shaped with three steeples, each topped by a flag. 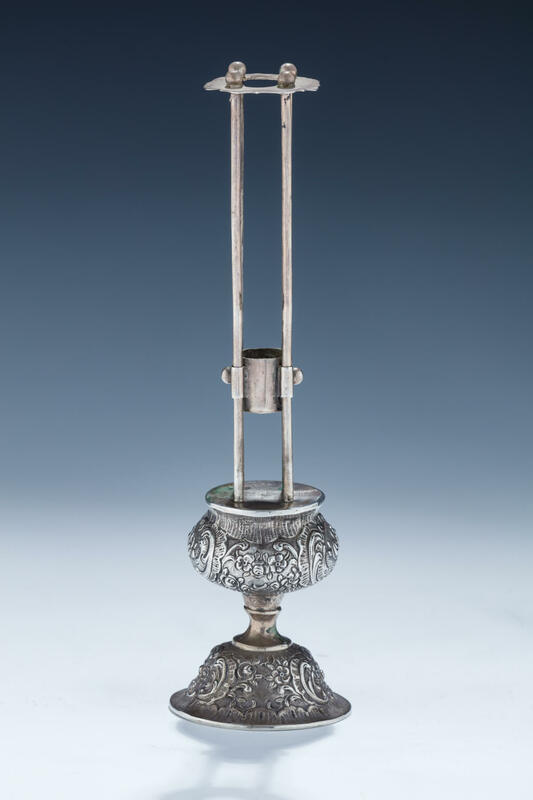 The candle holder decorated in similar fashion with movable guides to adjust height of candle. 8.3” and 8.6” tall respectively.